TECSYS is a leading supply chain management software provider that delivers powerful enterprise distribution, warehouse and transportation logistics software solutions. The company's customers include over 500 mid- size and Fortune 1000 corporations in healthcare, heavy equipment, thirdparty logistics, and general wholesale high-volume distribution industries. 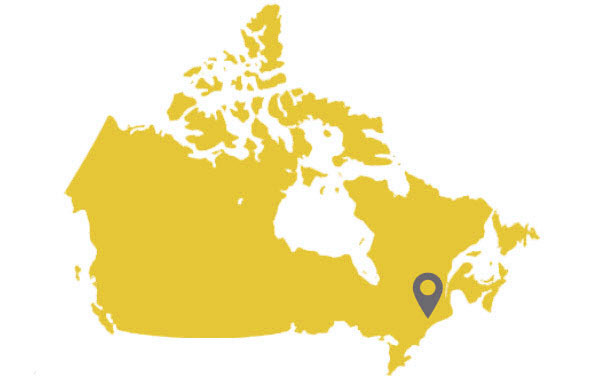 TECSYS is based in Montreal, Canada and has been a value added reseller of ConnectShip since 2007. Recently the two companies collaborated to provide TECSYS with the international carrier compliance engine for their transportation management software (TMS), EliteSeries™. Learn more at tecsys.com. During the initial development of the TECSYS EliteSeries™ TMS, one of the obstacles identified was the ability to provide accurate and reliable carrier compliance to customers within the TMS. TECSYS was able to reduce the impact on valuable development resources, add multi-carrier international compliance, and gain exposure to new markets by outsourcing carrier compliance to ConnectShip. With any new development and partnership, challenges and obstacles can be anticipated. For instance, TECSYS and ConnectShip had to determine how to merge data structures and existing processes with the new processes being developed. However, the joint development brought about opportunities to improve performance and reduce maintenance by TECSYS. Other advantages of partnering also emerged. TECSYS now had one source for compliance and tighter integration as a result of the joint effort. ConnectShip had expanded its origin base of 41 countries to include more Canadian carriers. As a result of working together, TECSYS was able to reduce development costs, add international compliance, gain exposure to new markets, and reduce reliance on additional support resources.